Tags: control, dba, flight, mouse, utopian. 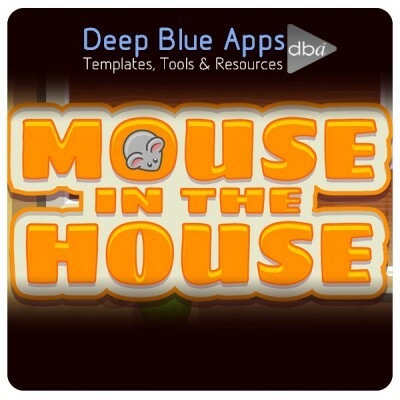 Mouse in the house is a great new template from DBA which demonstrates a flight path type control system. Simply draw a line through your character, then draw a path for him to follow. Using this technique you can create dozens of different apps. For the purpose of this template we created a great new game called [Mouse in the House]. Draw a path for our little mouse hero to follow and collect the cheese. Avoid the Hazards, traps, and Cats along the way. Collect all the cheese to proceed to the next level. To really get things going we’ve even created 2 types of enemy hazards which move between different types of way points. You can even add multiple cats following the same path. Type 1: Reverse and Follow. Simply add the Reverse actors to the stage and and enemy and watch him bounce between the way points. Drop the Continuous points actors on the stage and watch as the enemy now follows a pre determined path – set up by you. It couldn’t be simpler to create way points, follow points, reverse direction anchors and even a full path following mechanic. From this template you could easily create a Flight Path, Car Parking, Ships docking style games – or create a new puzzler that requires extra skills for your users. All art and music is included. Makes use of gamesalad tables. Level select with locked unlocked and auto save load. 2 enemy waypoints that you just drag into scene (see tutorial video). **Subject to a very basic understanding of GameSalad. Universal works with iPad, iPhone 4 and below and iPhone 5. Also, as an added bonus you can use all the art in your own games. Including the 2 fully animated game characters. 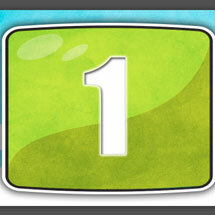 Download the template today and watch the video to see it in action. 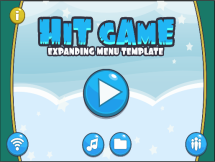 It’s a stunning template, that’s sure to give you inspiration for loads of other games.